POWER & ENERGY and SOLAR AFRICA has been one of East Africa’s fastest growing sectors. To meet demands, the 2017 events will feature a Conference like never before dedicated to Power & Energy and Solar Sector with renowned speakers from different backgrounds of the Industry. The recent revival in the region’s Power & Energy and Solar sector is expected to increase the demand for electricity in East Africa to grow at approximately 5.3 % each year until 2020. To meet these requirements, generation capacity would have to increase by 37.7 % in Uganda, 96.4 % in Kenya, 75.3 % in Tanzania and 115 % in Rwanda. The governments, in conjunction with development partners, are preparing to build a more favorable business environment to facilitate growth. 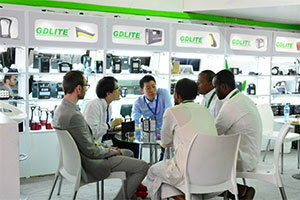 POWER & ENERGY and SOLAR AFRICA is today regarded as one of Africa’s most dynamic international Trade exhibitions. Since its inception, Expogroup has envisioned the event to evolve as one of the most awaited and eagerly participated events in Africa. Through committed endeavor and a no-comprise attitude to service, the company has brought that vision to reality. POWER & ENERGY and SOLAR AFRICA is the interactive arm of Expogroup’s activities and the event offers an appropriate platform for outsourcing collaborations, explore new business avenues, enhance your current business, look for beneficial tie-ups and will create opportunities for business visitors to interact with International Exhibitors. Come be a part of this change!!! After the success SOLAR AFRICA 2015 has seen, the organizers, Expogroup Worldwide is delighted to announce the return of SOLAR AFRICA 2017 from the 10-12 June 2017 at KICC, Nairobi Kenya. One of the major challenges in the renewable energy industry is how to provide electricity when the sun isn’t shining and maximizing the value of solar energy. With Global investment in Energy Storage Technologies increasing and cost effective solutions rapidly emerging SOLAR AFRICA 2017 will prove to be a good platform to commercial organization industry that wishes to expand its market to the giant African Market. SOLAR AFRICA 2017 is a comprehensive International Trade event that will mark an important and relevant point for industry professionals to source for products, meet new business contacts, build partnerships, and keep abreast of industry trends and developments. The event also aims at showcasing latest technology, solutions and their applications for energy storage, in conjunction with renewable energy and beyond. Solar Africa will set a platform to bring together equipment providers, manufactures, utilities energy experts, etc to explore the market ready applications for energy storage at all scales. Kenya being situated in proximity to the equator has a huge source of solar resource, which if capitalized and developed efficiently can prove to be an asset to the locals and a profitable source of revenue to the investing companies. The event is the only dedicated industry specific international trade show for the solar Industry in the entire East African region that promises to be an excellent platform to form business alliances, showcase technological and interact directly with the African traders from the East, Central & South African region. Currently East Africa is one of the fastest growing markets in the world and Solar Africa will attract thousands of buyers and decision makers from all the levels and sectors of the Solar Industry and aims to promote a direct business link between buyers and sellers. The trade events is aiming to be the gateway to East African Market which is fast emerging as distribution & supply hub to the entire African region. SOLAR AFRICA 2017 is looking to raise the Solar industry standards in Africa, by connecting market players such as manufacturers, suppliers, systems partners, researchers, engineers and technical buyers. So here’s inviting all potential trade attendees who are looking at growth, development and expansion in the African Solar market to mark the dates and be there!